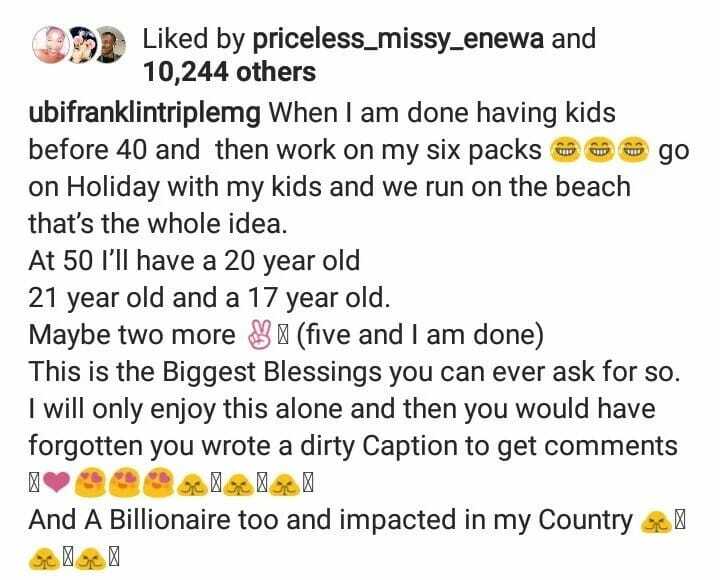 Just a while a while ago, the news broke that Nigerian music executive and serial entrepreneur, Ubi Franklin, is expecting a baby boy from a South African lady, Nicola Siyo, who insisted on keeping the pregnancy despite the fact that he was opposed to it. The music label boss has just collaborated with the story, saying that he has two more kids to go..
“Happy To Announce Jayden and zaneta will have a Boy join them very soon .He shall be called ———— Can’t wait ” he also captioned the photo below.. Proud of evil? What a shame! Something that's unafrican is now being celebrated.